The 1970s Diet: What A Snake! ReptoParty - Daniel Barnes - Cancelled on Day of Party! This guy is despicable! How can he blatantly let children down? Let all be cross the WI! Hi, yes to let children down is quite something - only today on twitter a tweet said he let down 70 + ladies - not even bothered with an excuse for this one. He has done that to us today! Sends message at 7.15am and party was at 11am... Managed to get someone else luckily but after inisting on a refund, he has blocked me on facebook. Not gonna let this stand! He's done the same to us yesterday, apparently in a car accident. Clearly after reading several posts he's a con artist. Not going to let this stand either - what a disgrace, letting children down on their birthday. My boy was so upset as he'd told all his friends and was so excited. p.s the one I heard from Caterham he had been kicked by a horse!!! I can't believe the extent that his let down has now reached! So many children. He really has no shame. I hope he gets what he deserves and that no more children are disappointed. Hi everyone.. im so so sorry that he has let you all down. My name is phil and I own an animal handling company called jaws n claws,it would seem that repto party are causing grief every where.If i can help in any way please get in contact. I have been getting people contacting me about him for quite a while, please dont judge us all by his standards. Email phil@jawsnclaws.co.uk 07894579944. This was left on my email comments - We were let down by him in March (his dad died). That may have been true, however a friend of mine also had a party cancelled by him but that was in January, and his dad died then too! We used Jaws N Claws and he was AMAZING! Such wonderful animals, the kids loved him! It was the best party ever! I got my refund from repot party but I chased him for over a week, 10 days I think. What an absolutely vile man he is! I had a msg the day before my son's party in june saying he has been kicked by a horse and was in hospital so wouldn't be able to do my son's party. I was full of sympathy until I dug a bit deeper and found out he is notorious for canceling at the last minute. I did however receive a full refund but I had to threaten to take it further if he did not refund. I feel that as a business he should have some kind of backup plan should anything go wrong also any legit business would offer a refund straight away instead of fighting it. He is systematically going through all his comments and deleting all the negative ones. This man has done the same to my friend and myself. He cancelled my friends due to a "family death" on the day leaving her to sort something else as she's hired the hall and children where expecting a party! He then tried to cancelled mine the day before our booked party (which luckily I had not paid for as my friend had pre warned me about his scam) with the excuse of his vans breaks where not working!! !I replied to his message and said what a surprise !! Is lucky I haven't paid isn't it! And he preceeded to make me feel bad by replying with how a family death had caused him to cancel so many partys in my village. I am disgusted that anyone coukd do this. To let down children on their Birthdays and blame it on family deaths is just sick . Shameful and I really hope everyone can get refunds and his actions are punished . This guy needs investigating! Someone let Watchdog know! I have been a victim of the same scan also, after attending a animal handling session at the care home were I organise the activities and events, he offered me a discounted rate if I was to book more sessions. Which I did, since then he has provided me with the very same sorry excuses and has now cut off all forms of communications. I am now in the process of claiming the money owed via Trading Standards and also informing Action Fraud to ensure this man is stopped. 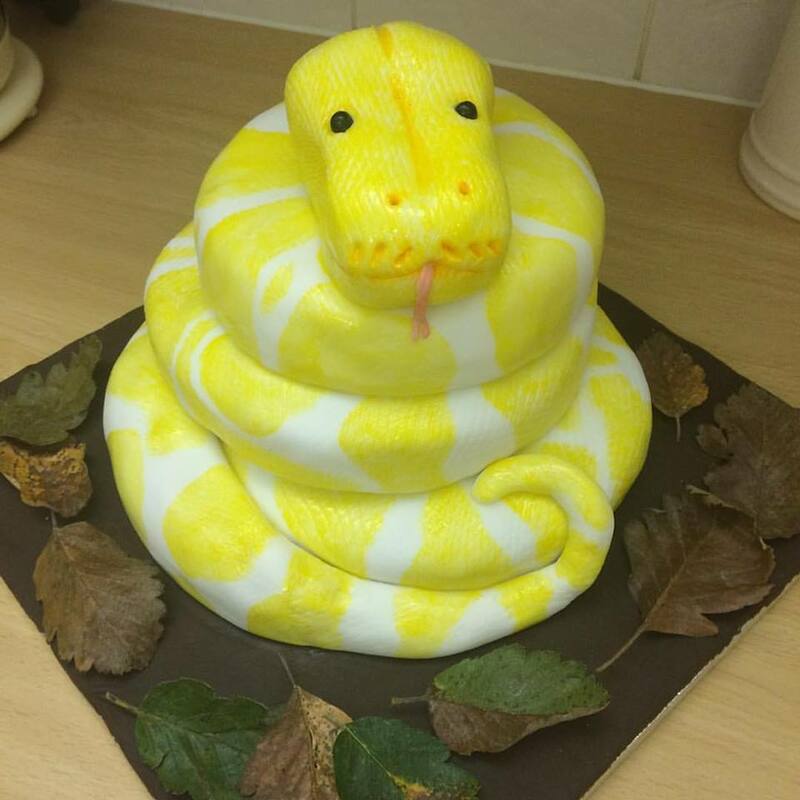 I own and run Reptile Events, a private reptile rescue which takes in unwanted/abandoned snakes and lizards and do educational work with them (including parties) while trying to find them appropriate homes. 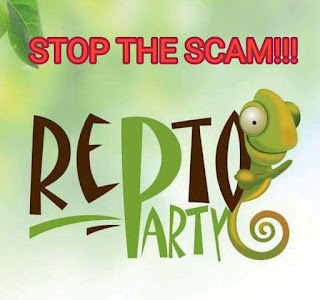 We have taken on several of Repto Party's events, some at very short notice, and including two on the same dates and time, 75 minutes' drive apart. Luckily we had volunteers available to take these on. 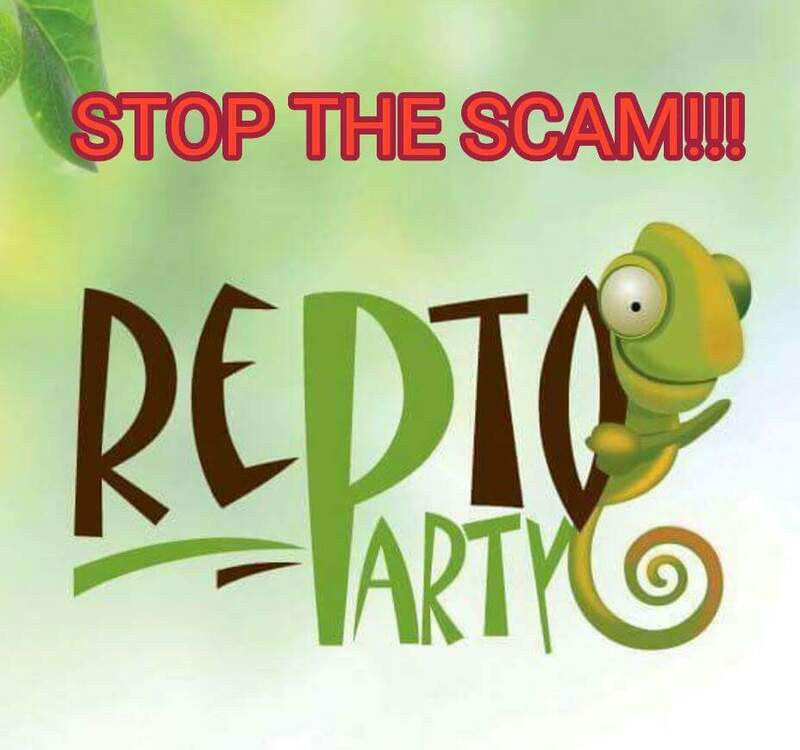 So many have been hurt by Dan and Reptoparty/Reptopartyuk and so far he’s been allowed to get away with it and is still taking money for “bookings”. It's really sad that Dan, with a family of his own could operate in this way and continue to keep ruining people's special days. For those of you still wanting a reptile experience, Tom’s Talking Reptiles could save your day at the last minute. We realise it's not just the no show from Dan, it's the hall, the cake & the whole theme of the day to add to the disappointment. Have a look at our website, our facebook videos, reviews and photos to book us in with confidence. We want to do all we can to stop Dan from ruining special times and from tarnishing our business, and others like us that treat people with the respect, kindness and honesty. He didn't turn up to my daughter's party today - no calls, no messages, he now says he will refund us but he can't find his card reader... suspicious?